The Regent is the same theater that was originally the Hibbard Opera House and, from 1908 to 1920, the Bijou Theatre. Compare the ground floor arches with the photos of the Bijou. 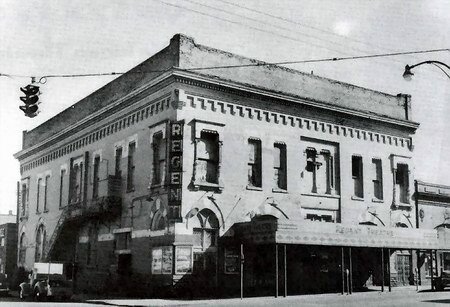 The Theatre Historical Society says that the Regent closed in the late 1940s and was demolished around 1950. The Social Security building now occupies this site.